W. E. B. 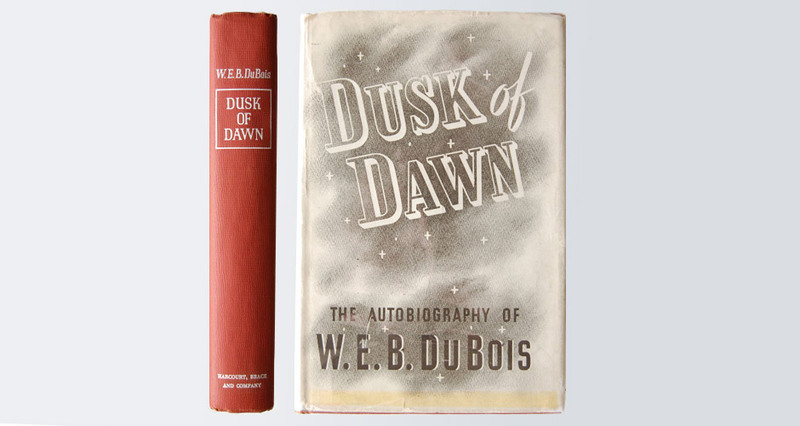 Du Bois, Dusk of Dawn: An Essay Toward an Autobiography of a Race Concept (New York: Harcourt, Brace, 1940). 8vo., salmon cloth lettered in white with dust jacket. First edition. A presentation copy, inscribed: “For Ira Reid from W. E. B. 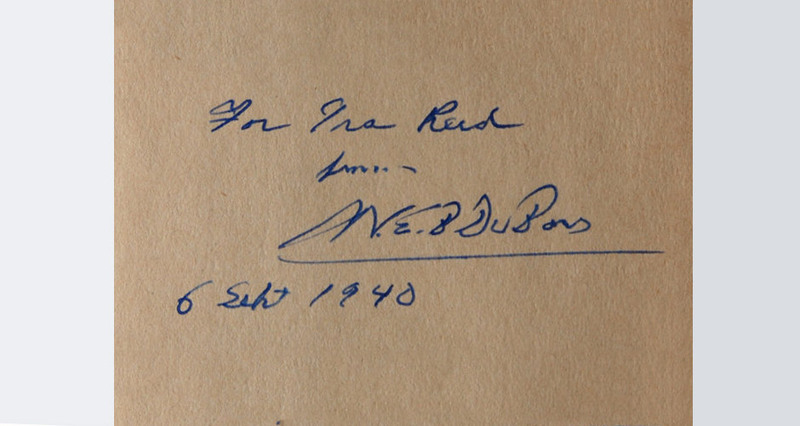 Du Bois – 6 Sept. 1940,” on the front free endpaper. An extraordinary association copy.